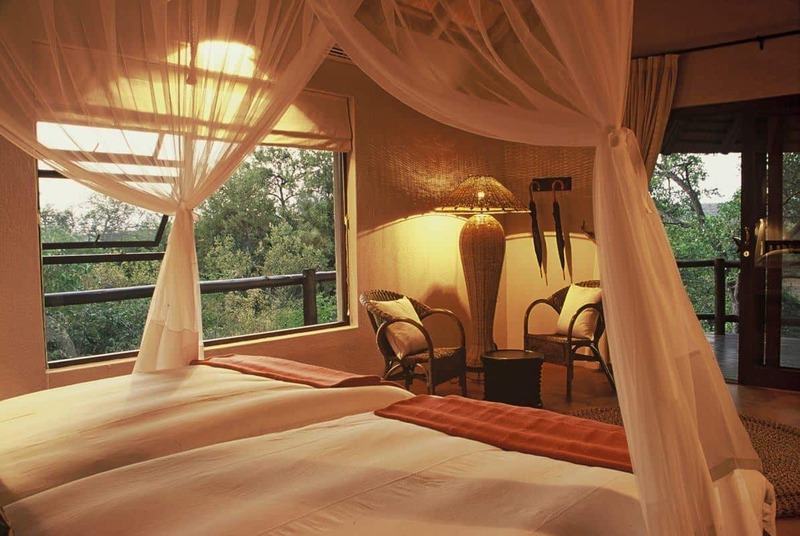 A large mosquito net creates a romantic canopy bed and gives the room a cozy atmosphere. The decor is stylish, simple and serene. The 3 cozy duplex chalets all have a view of the river. Each unit has an en-suite bathroom, air conditioning with a cooling as well as heating setting, telephone and panoramic windows. The beds are large and comfortable. There is a choice of light blankets or thick down comforters depending on the season. Fly i and see our elegant rooms in the beautiful garden.